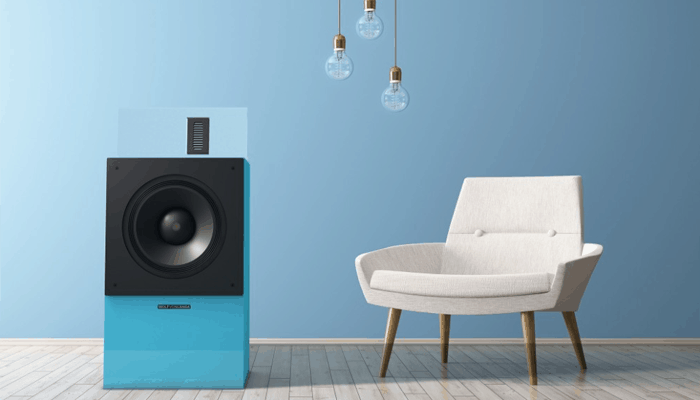 The boom box is a bass dispersing beast in a portable package, modeled on their retro ancestors who saw their popularity peak in the early eighties we have gathered a few of the best modern reincarnations to review as we discuss the 10 best boomboxes in 2019. It wasn't long after the birth of transistor radios, tape cassette players, and CD players that we saw them become as small and portable as a tape cassette playing Walkman which was practically palm-sized. However, the drive for better bass meant that there was that 'period of mullets and perms' between in which portable players which were bigger, were better. The average ghetto-blaster was business-suitcase sized and many a 'cool-kid' lugged one about hauled over one shoulder like a lumberjacks log. 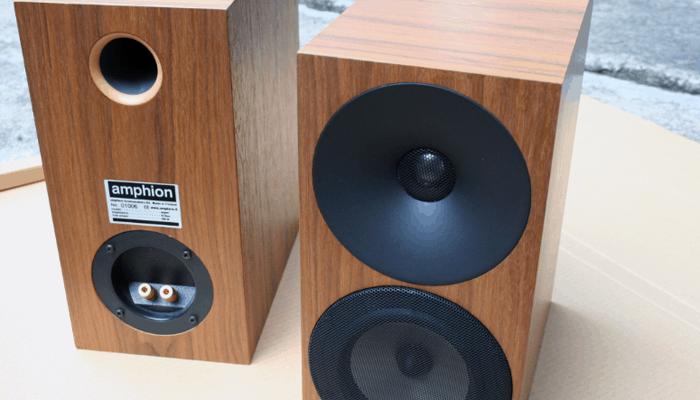 Thankfully cutting edge audio-electronic advancements in modern times have allowed us to put loudspeakers into smaller enclosures utilizing mathematical calculations to create bass in a small space that is more flawless than ever before. What to look for when buying a Boombox? Other modern additions which companies are capable of integrating such as Bluetooth, and rechargeable batteries make them a much more conveniently compact, and therefore a more viable portable device than their predecessors. 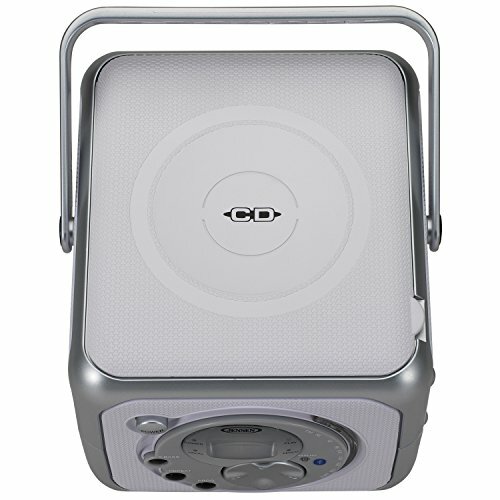 First on our list is a carry-around Bluetooth-enabled option from JBLs range of waterproof wireless speakers. We have reviewed some of the range before for their superb water-resistance, impressive battery life and link up possibilities. This set are aimed at the lower frequency spectrum to cope with heavier bass and their 4 active transducers along with dual bass radiators deliver optimized sound at maximized volume levels. 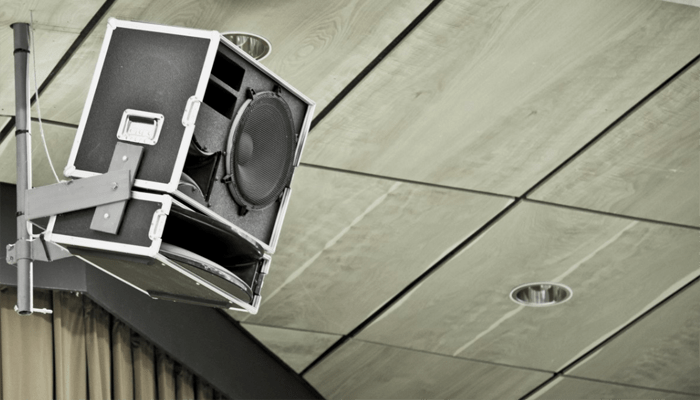 They have the same JBL Connect+ capabilities which allow them to connect to more than 100 other JBL speaker designs for additional amplification and surround sound. They have indoor and outdoor modes with predetermined equalization settings which can be easily switched between at the touch of a button. They have a 24-hour life and charge via USB and they are IPX7 certified meaning they are sufficiently waterproofed. They can connect to 2 devices simultaneously and remember previously paired devices. The build is very rugged but lightweight making it easily portable and highly durable. Why We Liked It - We love the 2 different listening modes and the link-up features on the JBL wireless outdoor lines. The outdoor setting provides punchy bass with a widely dispersed presence. The level of quality in the premium parts is top-notch and each have been carefully designed and painstakingly manufactured to be completely waterproof, IPX 7 is essentially as good as it gets. The GX-BT9X is around half the price of the JBL and it still offers up some pretty impressive specs. It too is Bluetooth compatible enabling users to stream from a range of paired devices. It has a robust design and also features bass enhancing technology with its driver and enclosure design. It is side firing, and the Bass X optimizations boost the bass frequencies and combat cancellations for a distortion-free listening experience. It is battery operated but it doesn't recharge, so investing in a set along with a charger would be the best option in the long run. It features a nifty variety of inputs alongside the USB, you can connect a mic and guitar to this one making it a boombox come travel amp option ideal for musicians who liked to bust out a few tunes in the park. Why We Liked It - Whilst it doesn't have the waterproof characteristics of the JBL boombox, it provides well driven bass which doesn't get lost in an outside space and won't set you back half as much. We like the mic and jack inputs that essentially give it mini-amp abilities. Next up we are going to compare a couple of Jensen CD models side by side, the first being the 555 which is a compact cuboid portable CD player. It is much more affordably priced and comes in a range of trendy colors. The CD player is top-loading, it is CD-R/RW compatible. 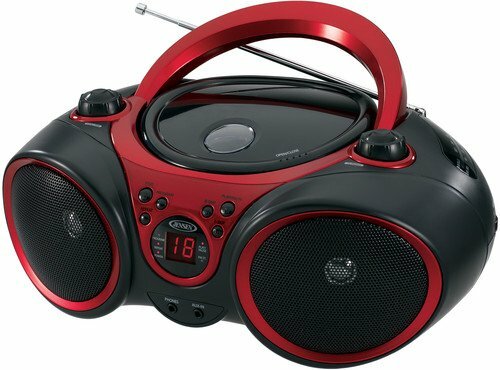 It features auxiliary inputs for direct connection to iPods and MP3 players and has built-in Bluetooth connectivity, as well as FM radio making it pretty diverse in terms of functionality. It too benefits from a bass boosting function with its front-mounted x-bass button and provides great audio at loud enough volumes for outside use. It once again will require batteries, and it is more sensible for long term use to sort out a rechargeable set suitable for it with their own charger. + Wide range of function. Why We Liked It - Despite being designed for an older technology it is pretty on trend and up to date it has an appealing price-tag and is easy to drag-about. The variety of I/O connections make it superb value for money and whilst it might not have some of the premium parts of the more expensive boombox options we are highlighting today it is unbelievably capable for a cheaper item. Now another CD player Jensen stock which is a limited edition model, priced less than ten dollars more than the 555 cube is the 575. The extra cash will get you a built-in rechargeable battery for starters which saves some faffing around. It is a much larger CD player in general, like older typical models except for its angles and edges which give a sleek contemporary face-lift, making it seem more modern. 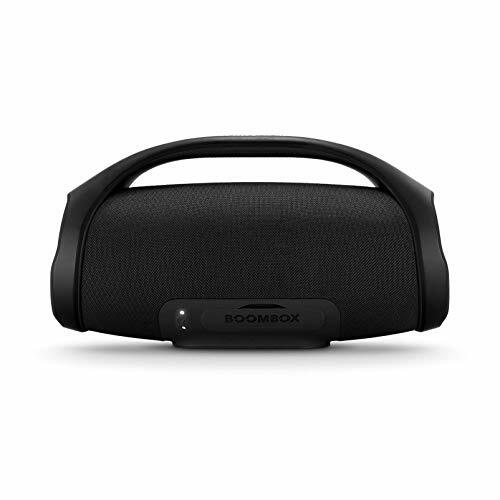 It is marketed as a Sports boombox and we think it is aptly suited to booming in a gym class. It features all of the multi-functions of the first we looked at it, with its Bluetooth onboard, its auxiliary inputs, and radio function which in comparison is AM as well as FM receptive. All controls are top mounted around the disk compartment, the design then allows for the entire front to be dedicated speaker space. 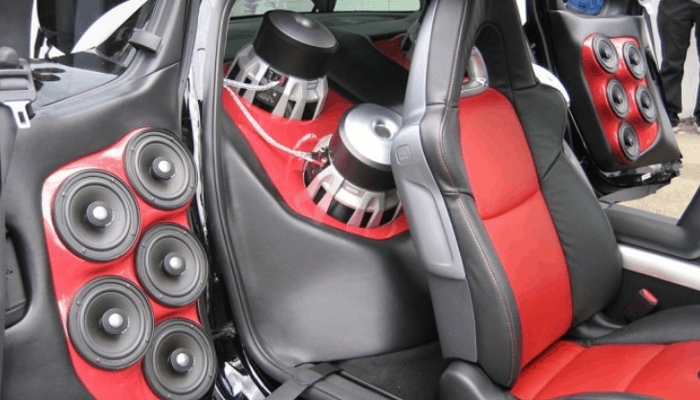 It features one large wrap-around grille and harbors a loudspeaker set-up array, which provides rich full-range sound. The very capable bass drivers eliminate distortion and the curved open 130 degree front disperses the audio in a wider radius. It has a sturdy handle and is easily portable, despite being a lot bulkier than some of its competitors. 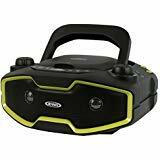 Why We Liked It - It is a great CD playing boombox option, the built-in battery is a big plus as keeping a track on disposable batteries is a pain, as well as less environmentally friendly. 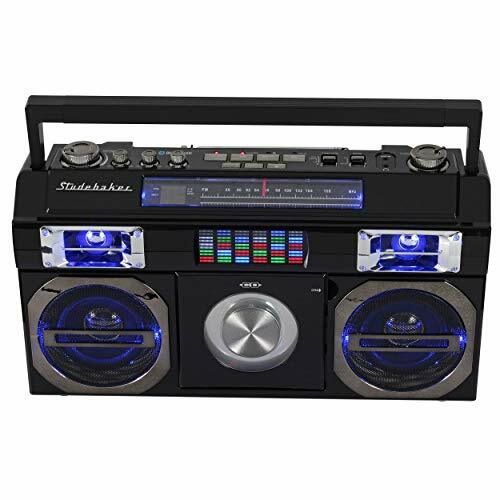 This is a great go-to boombox for anyone teaching a class in multiple locations because it is easy to lug around and has a big sound. 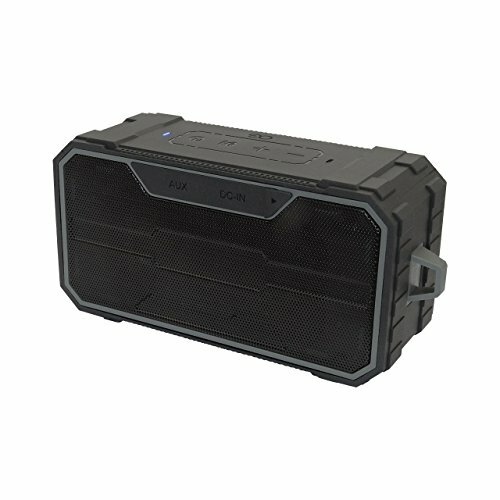 If you are after something on the smaller side, and have no need for playing CD's then the Aeon boombox might be the model for your. It is built like a brick, literally brick-shaped and comes with a heavy-duty carabineer style clip to suspend it with. It is fairly lightweight despite its rugged industrial appearance and can be worn about your person if desired. With its dual 5W speakers it produces surprising volume levels and great audio clarity with awesome bass. It features ultra-wide cones with more space to vibrate and a design which helps to eliminate any unwanted reverberations that may distort the bass. It is suited to a wide range of applications, thanks to it's up-to-date 4.2 Bluetooth connectivity capabilities, its built-in mic, and its micro SD card reader. It is IPX6 certified so it is waterproof enough to take on the go and use outdoors. It serves up 10 hours of battery life with a recharge time of around 3 hrs between from empty to full. + Good rechargeable battery life. + Mini SD card reader. Why We Liked It - It is extremely compact, one of smallest options within todays selected product reviews. It is well made and has an accessible price, great Bluetooth connectivity, and can even clip to your belt loop freeing up your hands. Another more conventional boombox model from a company who has been around long enough to perfect their audio electronic engineering expertise is this CD player/boombox by Panasonic. It is a terrific 2-way class option that once again offers a range of applications. Now whilst it doesn't boast the Bluetooth abilities that other models may have added, it can stream via its auxiliary inputs and USB music port. It has AM and FM radio, a top loading CD player, and a host of onboard controls including a remaster and sound visualizer function. The 4 speakers (10 watts per channel) work in unison to provide full range sound with great depth and dynamics with a stereo surround sound feel thanks to their directional nature. They handle bass effectively and are distortion free even at high outputs. It comes with a remote control for easier user interfacing and reasonably priced given that it performs very highly in its class. + High performance 2-way class drivers. 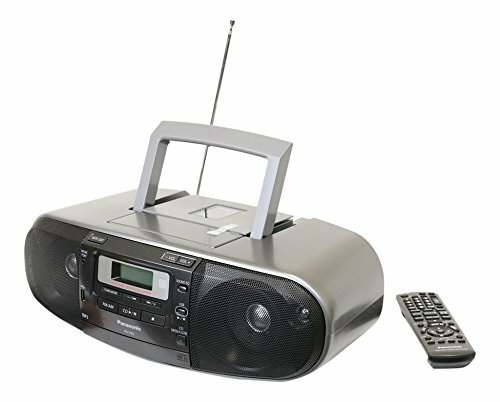 Why We Liked It - Despite not being bestowed with Bluetooth connectivity capabilities this CD player/boombox has a variety of input options which still make it a highly versatile piece of kit. Panasonic are at the top of their game and this is an exceptionally well designed and manufactured portable CD player. Here we have a genuine old-school option up for grabs which is still equipped with some cutting edge conveniences. The VBB model from Victrola has an iconic 80's vibe without being too over-sized. It features a cassette player for playing your mix-tapes. It has AM and FM radio frequency receivers and an LED display with a digital clock. 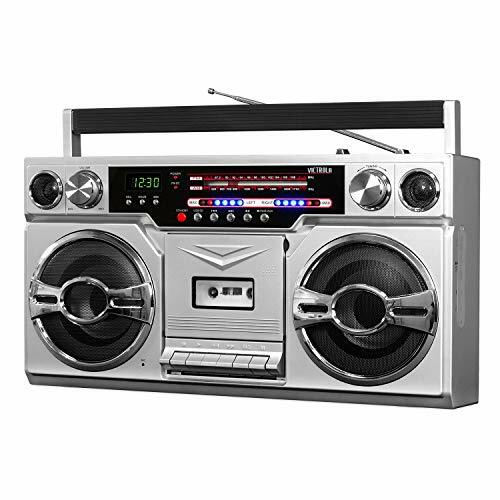 It has a classic retro style but is also capable of wireless streaming via Bluetooth as well as playing directly from USB/ SD, and other auxiliary devices. The 2-way set up helps it deliver good audio with a broad range, the drivers feature cutting edge bass boosting technology, with a wider cone surface area and neodymium magnets employed. They are very efficient and true to each end of the spectrum producing sound with crisp highs and spacious lows. It is affordably priced and can be AC powered otherwise it requires batteries which are not included. + SD card reader and USB. Why We Liked It - We love the retro character of this model it is the perfect combination of technology-gone-by and modern product evolution. 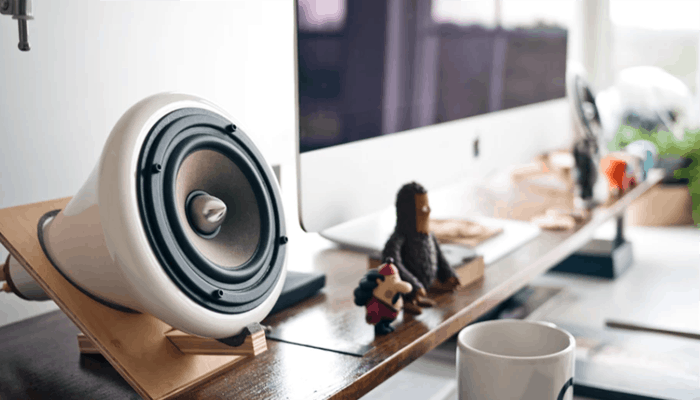 It provides great audio and is equipped with some great features and is also very reasonably priced sitting just above the hundred dollar mark, which makes it good value for money. So after peeking at Panasonics boombox, we have to have a look at what Sony, creators of the Walkman are serving up on a similar level. Panasonic and Sony were the top rivals of the original Phillips boomboxes that started being made almost 4 decades ago. This portable CD player is once again a wired AC powered model without the bells and whistles of Bluetooth on offer but it serves up some mighty, meaty bass thanks to its bass reflexive enclosure design and Mega-Bass function. The stereo sound has a warm richness and the lows are hard-hitting. It features a variety of input choices from the physical CD and tape cassette decks to the digital MP3 via its auxiliary jack audio input. It can be powered by C batteries for traveling around which is not ideal but it is pretty lightweight regardless of its larger frame. It also has a headphone auxiliary output for private listening. It is well built and much lighter than previous models and it sells as a bundle buy with a few essential goodies such as a CD lens cleaning disk, disk cleaning fluid, buffer, and much more. + CD, cassette, and MP3 input. Why We Liked It - It is a nice combination of modern and outdated technology built by a reputable brand, we like that you you can record from CD or radio to cassette tape and it has pretty good bass capabilities especially considering its smaller footprint. We are heading back to the Jensen CD range before we begin to draw a close to our reviews section. The 490 model is slightly cheaper than the other Jensen models we examined. 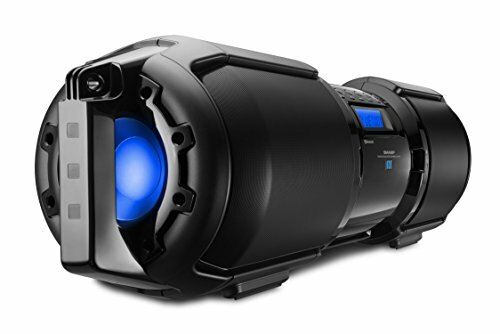 It provides rich thick dynamic audio delivered by its front-facing angled dual speakers. They work to produce well-balanced broad ranged audio and their oval shape give it a smiling bug-eyed look which is kind of cute. The players come in a range of bright pearly colors with contrasting highlights. It once again like the other two we perused, has a top loading disk compartment and top-mounted on-board controls. It is compatible with CD-R/RW and works on AC mains or 8 batteries, which are not included. 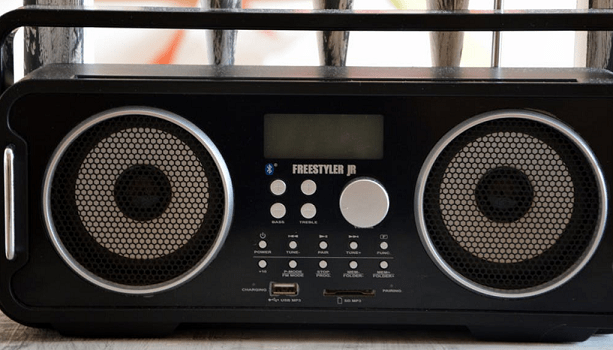 It features an auxiliary input for listening to all of your MP3s, and an auxiliary out so you can connect up your headphones, and once again has access to AM and FM radio stations. It is lightweight and easy to carry around with its very sturdy fold-away handle. + Bare bones easy to operate option. + Lowest priced product in todays reviews. 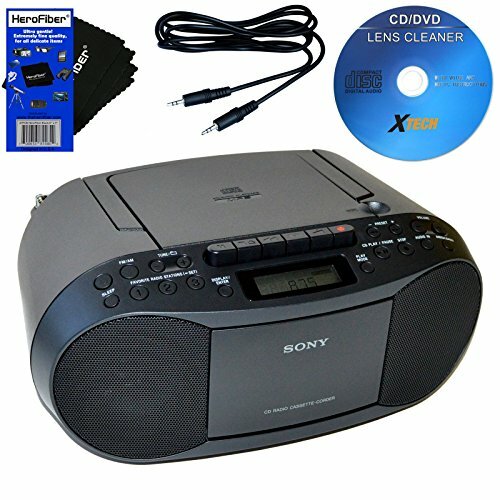 Why We Liked It - It is a nice no frills CD player with an MP3 player connection with great volume which wont break the bank. It is easily portable and simple to use. We are wrapping our our reviews with another modern model which has the aesthetics of an authentic eighties boombox. It is briefcase sized and harbors a diverse range of of mod-cons. It is a portable CD player (front-loading) which accepts CD-R/RW. It features an FM analog radio and auxiliary I/O for iPods and headphones. Some of its more current abilities include Bluetooth connectivity and its LED display which gives the equalization a visual. The built-in 5W stereo speakers are composed of premium parts and feature neodymium magnets. The drivers are hard-working and can effortlessly handle high and low-end delegation with a breeze producing wide frequency response. 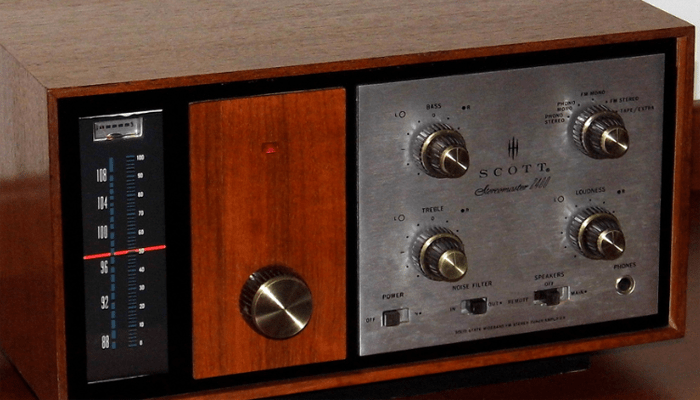 The mids have good definition, vocals have great clarity even when listening to the radio. 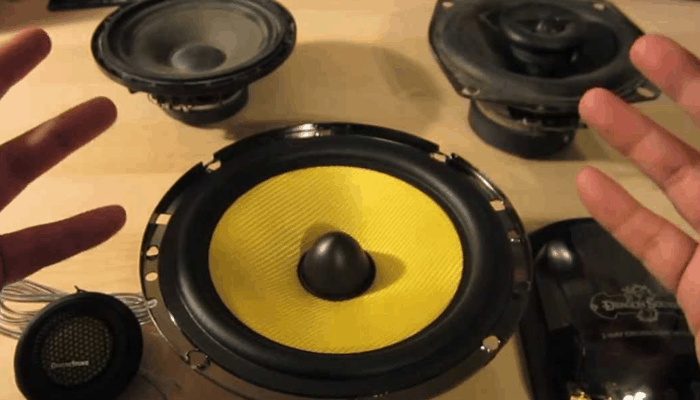 The speakers are enhanced for optimizing bass and keeping it noise-free. It has a built-in rechargeable battery with extensive battery life and is AC/DC powered. It is very well built and easy to carry with its extra-heavy duty handle. + Built in rechargeable battery. Why We Liked It - Its very good looking and the bass is unbelievable. We like the EQ visualization which add to its vibe, it has a range of applications and the sound is some of the best in it class. Despite their original statures, boomboxes were originally designed with taking your music on the go in mind. To make something suitable for this purpose you are really looking for 3 key ingredients, compact size, a lightweight, and decent battery life. The market is littered with products that aim to tick all three boxes and then compete for bonus points on top with regards to their mod-cons, such as Bluetooth, and waterproofing. Some of the ways they manage to decrease size and weight can reduce the quality of the parts used, for example swapping heavier duty materials for cheaper lighter plastics and other synthetics. This can be viewed as both detrimental or advantageous to the product depending on your line of thought. The plastic is going to be less durable but it less cumbersome too and reduces the production costs of the model which helps to lower the retail price without sacrificing on the more important components. Occasionally the more vital parts will be substandard in the effort to undercut competitors, which is obviously something you want to be able to avoid. It is often better to go with a trusted brand if you are buying a budget option because they have well-established manufacturing lines and can cut production costs elsewhere on such a large scale so that their customers really do reap the benefits. The majority of boomboxes have battery options by nature but as you will have seen from our cross-section of models some have more convenient built-in batteries which recharge between uses and this is ultimately better. Some of the rechargeable batteries last longer than others but if the price difference between 8 hours and 12 is a real leap ask yourself whether you really need to run it for such extensive periods and save yourself the money. The other major attraction besides their portable nature is their bass efficiency, the clue I guess is in the name because their listeners like their bass booming. Typically for better bass, we use dedicated woofers and subwoofer which have much larger cones, which are rigid yet flexible enough to respond to low-frequency electrical signals. In a smaller speaker set-up, it can be difficult to serve up distortion-free bass with a decent volume. The design concept, therefore, must include methods to reduce and combat wave cancellation preventing distortion. 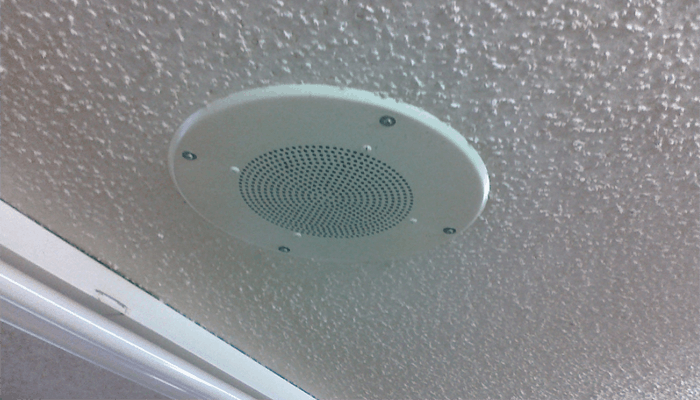 The speaker enclosure will also have to employ a port or vent to optimize the driver performance. If a modern boombox tickles your fancy, finding one which is retro or contemporary to suit your needs shouldn't be a difficult task. 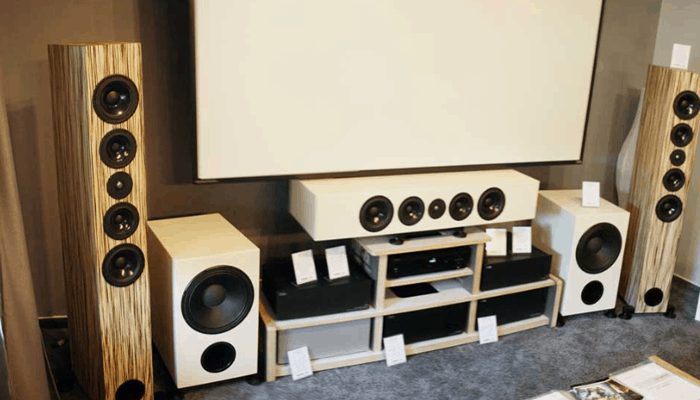 To summarize our buyers guide advice you need to find something that is lightweight and portable, which has the best quality components and bass enhancing developments within your allocated budget. If you intend to use it outdoors a lot you may be wise to look at a more modern incarnation with waterproofing methods employed in its construction. Boomboxes are capable of quite a lot of functions in this day and age, so consider the versatility and weigh it against your requirements. 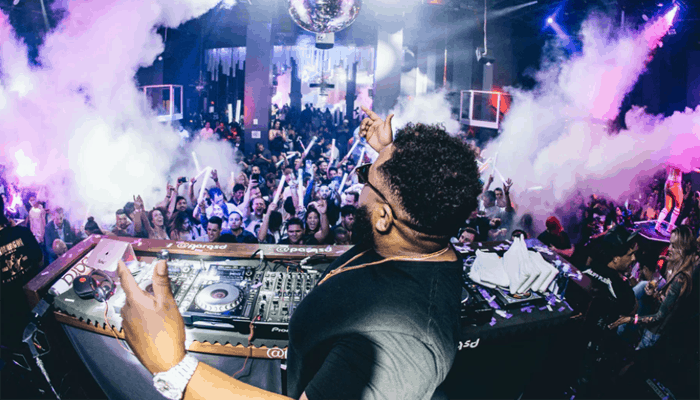 We hope our article will have inspired you or even made a few of you reminiscent of your mix-tape making days, in any case, the info should prove useful as a little FYI before you buy. If you really like it loud and value the quality of audio you listen to we recommend you set at least a few hundred bucks aside for your boombox purchase. Phillips made the first boombox model they were also the innovative inventor behind the first ever audio compact tape, though tape cassettes sounded poor before Dolby stuck a finger in the pie. They then gained popularity in Japan in the early 70's and were introduced to America by the end of the decade.